A considerable percentage of the interior surfaces of the home are exposed concrete allowing no room for error. All cabling had to be precisely positioned (in conduits) at the time of the concrete pours. This also meant that the system design had to be 100% finalised even before the build commenced. Also due to the unique décor of the home it was essential that at no time did the electronics detract from or impact on the eclectic interior design. Given the clients desire for a powerful, yet simple to operate, control system the automation backbone used was Savant. In keeping with the clients wishes for quality, yet discretion, where-ever ceiling and wall spaces allowed – including in the theatre room – Stealth invisible speakers were utilised. In total there are 13 separate zones of audio in this property with five zones of video. The five screens are the most visible component of the technology installed, with almost every other item being concealed. 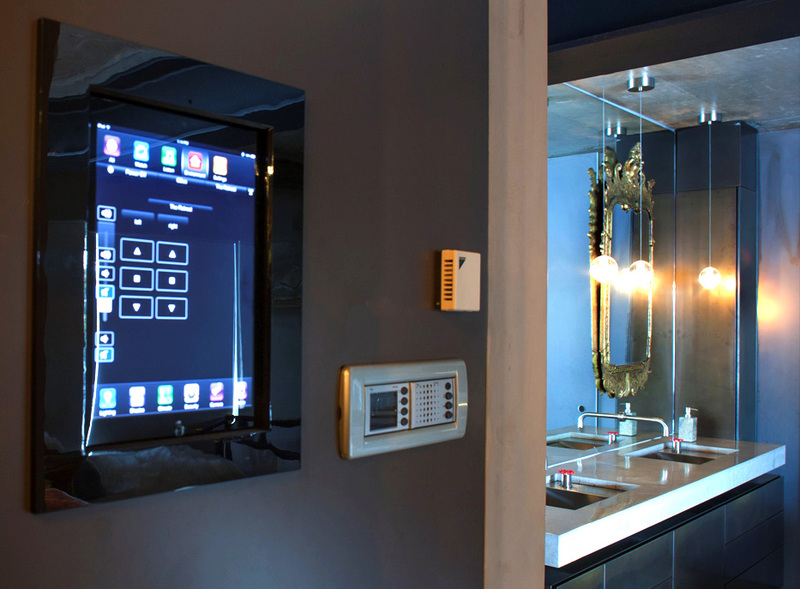 The project received the CEDIA ‘Best Integrated Home Installation $150,000 to $250,000’ in 2014. 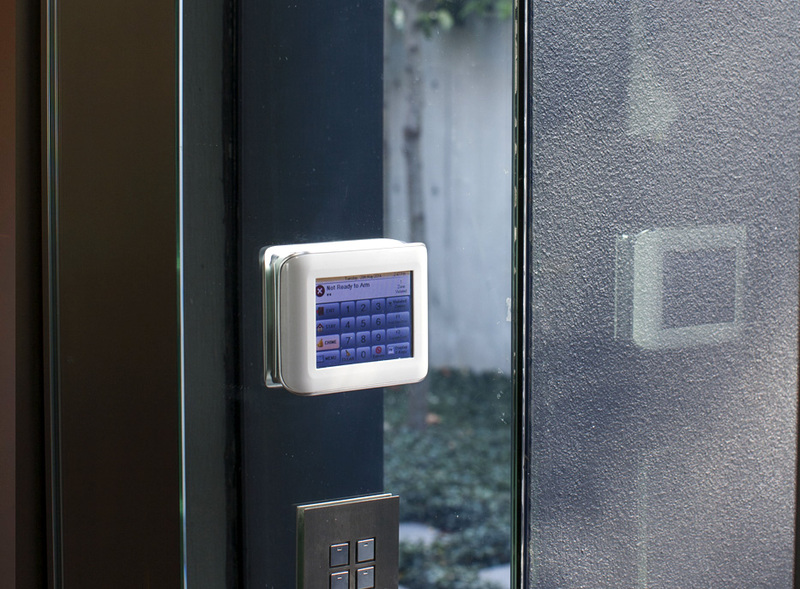 Founded in 2005 Savant has rapidly grown into one of the world’s foremost luxury Home Automation companies. Heavily influenced by Apples IOS operating system Savant has proven to be intuitive to use, flexible and reliable. Savant’s flexibility allows it to be used in environments from simple one-room solutions through to multi- such as this home. Numerous safety commands were integrated into the programming of Savant in this project. For example if the smoke alarm is activated all primary lights turn on, motorised curtains are opened, any external awnings are closed, sirens are activated and the back to base security is called. The clients were insistent that wherever possible the technology used should be invisible. The obvious choice in speakers for most areas was Stealth Acoustic. Stealth are full range speakers that are mounted into the structural frame of the wall, and butts up flush with the gyprock. Once the gyprocking is finished the speakers are painted over (or wallpapered) along with the rest of the wall, causing them to visually disappear.